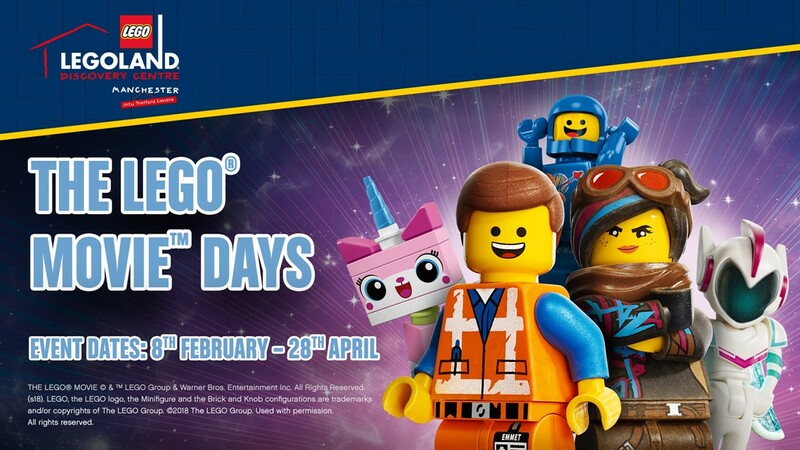 LEGOLAND® Discovery Centre Manchester is hosting the ultimate celebration of the new THE LEGO® MOVIE™ 2! Join Emmet, Wyldstyle and the gang with exclusive building activities, out-of-this-world character experiences, interactive photo opportunities and more! It’s going to be AWESOME! Meet Emmet, Benny, Wyldstyle and Sweet Mayhem. Help Emmet find his friends in the MINILAND scavenger hunt. Build an alien invaders escape vehicle and race it down a zip line. Contribute to a cool mosaic build and add a building to Bricksburg in MINILAND. Direct your own LEGO® MOVIE™ 2 stop motion movie. Build DUPLO Hearts and stars. Lots of build competitions, giveaways, photo opportunities, Minifigure trading and pop badges.